Living or Non-Living? Let your students decide with these phonics-based science worksheets. 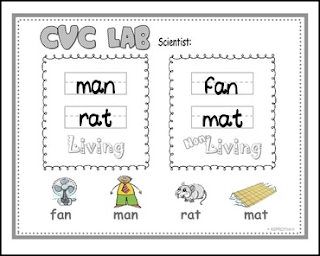 If your students are learning to decode CVC words, you can help them use those words on a "real world" level by sorting living and non-living objects on a reading level they can handle. Students can learn vocabulary, decoding skills, and science concepts all at the same time! In response to the "even-number-of-objects" requests, each lesson/worksheet now has two living and two non-living objects. Note: This set includes Short "A" only. Thanks for the valuable feedback and requests.